Through the first two months of the 2014 season, Arkansas was 4-5 with strong showings against Texas A&M, Alabama and Mississippi State that, close as they were, ended as losses nonetheless. But the Hogs broke through in a big way to close the year, with wins over LSU, Ole Miss and Texas (sandwiched around a 21-14 loss to SEC East champion Missouri) by a combined score of 78-7. Arkansas ended the year at 7-6, but they were the 7-6 team that no one in college football wanted to play. In the SEC, that’s enough for a contract extension. The Razorbacks announced a new contract extending to 2020 that will average $4.25 million annually. Bielema, 10-15 in his two seasons in Fayetteville, will earn $4 million in 2015 and see his compensation rise $100,000 annually from there. 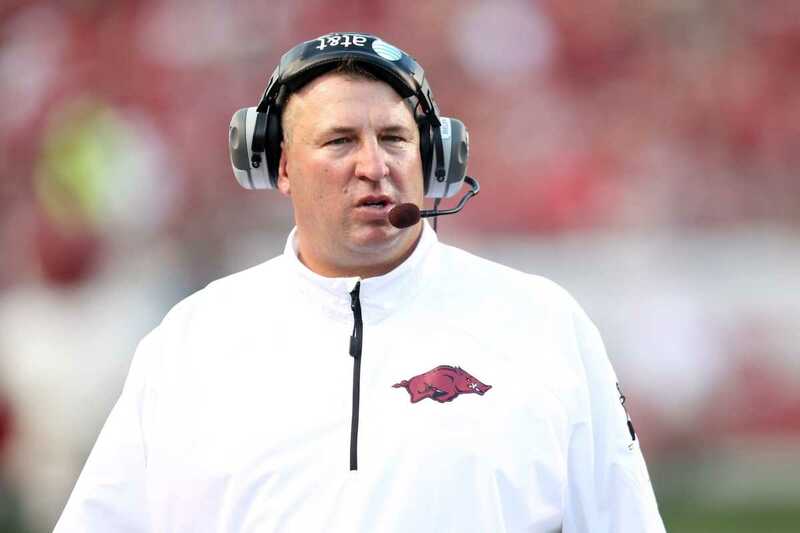 Bielema’s $4 million 2015 salary will place him just outside the top 10 nationally – but sixth in the SEC West. Nick Saban, Kevin Sumlin and Les Miles earned north of $4 million in 2014, Gus Malzahn and Hugh Freeze received new contracts bumping them above $4 million by this fall, and Dan Mullen ($3 million in 2014, according to USA Today) is working on an extension of his own. This means one thing: some highly-talented, well-paid coach is going to finish in seventh place in the SEC West nine months from now.